Business is slow at the moment for Benedict Okafor, who sells luxury cars from a lot near the port in Nigeria’s financial capital, Lagos. In the capital, Abuja, 535 kilometres (333 miles) away, the property market seems to be in a rut, with the habitual buyers, the monied elite, staying away. “I normally sold five cars every month before” President Muhammadu Buhari came to power, said Okafor. “But in the past four months I have sold only one Toyota car. It’s not hard to see why when Buhari’s promised crusade against high-level corruption has already snared a series of household names. Senate leader Bukola Saraki, Nigeria’s third-most senior politician after Buhari and his vice-president Yemi Osinbajo is facing charges of false declaration of assets. Godswill Akpabio, the former governor of coastal Akwa Ibom state, was hauled in for questioning over claims he had stolen 108 billion naira ($540 million, 475 million euros) while in office. Sule Lamido, the governor of Jigawa state in the north, and Gabriel Suswam, who was governor of Benue state until earlier this year, are also fighting accusations of graft. At the same time, former oil minister Diezani Alison-Madueke, was arrested in London as part of a British investigation into suspected bribery and money laundering. Buhari’s arrival in May appears to have given fresh bite to the fight against corruption, which has plagued Nigeria over decades of military rule then civilian administration. Cases involving top officials that were long thought to have been shelved have been revived, as he seeks to fulfil his election promises of stopping the rot in the system. “As soon as he (Buhari) came to power, without any direct instruction from him, the anti-graft agencies went into a frenzy, dusting down cases of corruption against some past officials which have been long dead in order to convince Nigerians that they are working,” Debo Adeniran, head of the pressure group Coalition Against Corrupt Leaders, told AFP. The move was predictable for many: Buhari’s previous time in power as the head of a military regime in the 1980s was characterised by his so-called “War Against Indiscipline”. 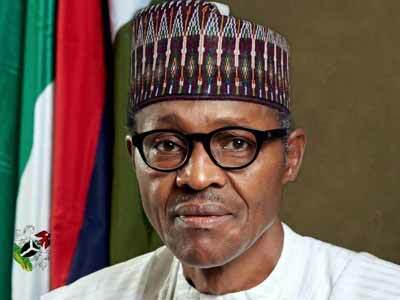 “Everybody remembers Buhari’s antecedents when he was a military dictator,” said Bukola Daniel, a Lagos-based political scientist.